We introduce TASTY (Tag-as-you-type), a novel text editor for interactive entity linking as part of the writing process. 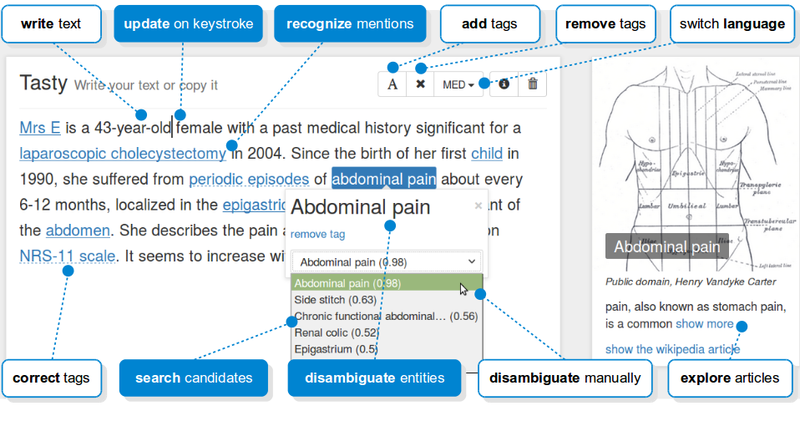 Tasty supports the author of a text with complementary information about the mentioned entities shown in a “live” exploration view. 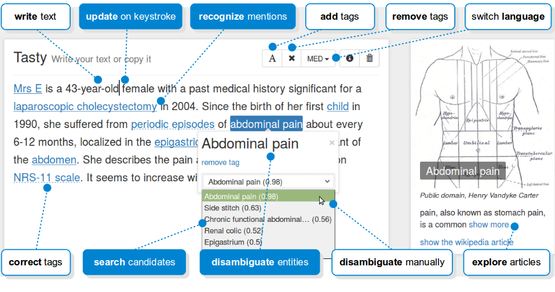 The system is automatically triggered by keystrokes, recognizes mention boundaries and disambiguates the mentioned entities to Wikipedia articles. The author can use seven operators to interact with the editor and refine the results according to his specific intention while writing. 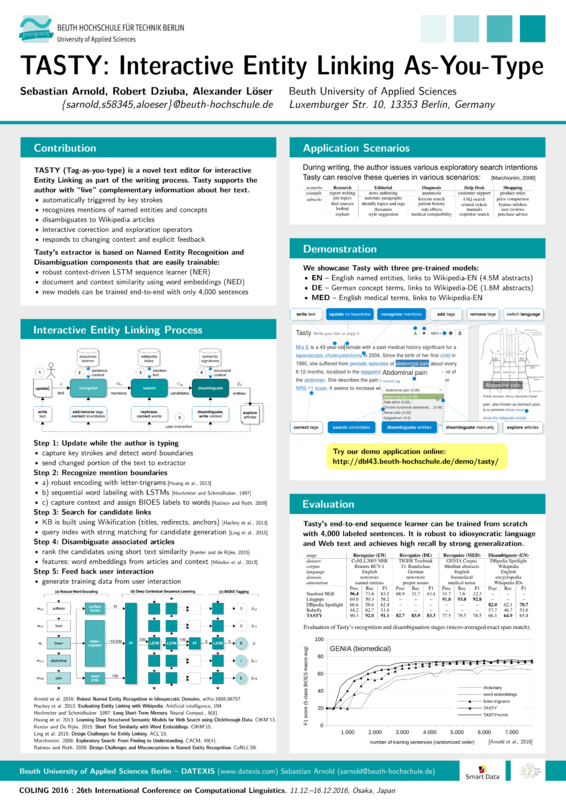 Our implementation captures syntactic and semantic context using a robust end-to-end LSTM sequence learner and word embeddings. We demonstrate the applicability of our system in English and German language for encyclopedic or medical text. Tasty is currently being tested in interactive applications for text production, such as scientific research, news editorial, medical anamnesis, help desks and product reviews. Please see also our explanatory poster and our demonstration.